Tim came third and won a bronze medal with 50.6 at 300m on Day 1. Mark came second and won a silver medal with 50.8 at 600m on Day 2. Allan came third and won a bronze medal with 59.04 at 700 and followed up with second and a silver medal with 83.08 at 800m on Day 2. This gave Allan second place in the Day 2 Aggregate and another silver medal. Mark finished third in the Rolph Aggregate and won a bronze medal with 342.33, three points behind the winner, Helen Griffiths with 345.36. 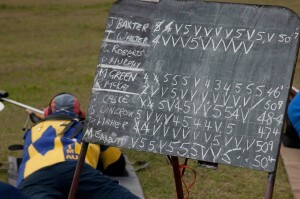 No medals were won on Day 1, but Mark finished in 8th position, one point behind the leader, Jim Bailey, on 149.22. Day 2 saw Angus Martin win the Gold medal in C Grade at the first 800m with a 44.01 and finishing 4th both at the second 800m and in the Day 2 Aggregate. In the Progressive Aggregate, Mark was now coming 8th, with 295.28 two points behind the leader, Geoffrey Grenfell. Allan was placed 7th in FC/S. Angus Martin was the only member to medal on Day 3 coming second to win the silver medal in C grade with 42.01 at 600m. Mark need a 50.00 to win the Queens at the last range, however, after recording 5 bulls, his scorer gave him an incorrect 3 minute warning, when in fact, he had about 8 minutes remaining, and the next shot, fired in haste in tricky conditions, was an inner. Bad luck Mark! Little did we know that Mark had in fact won the Target Rifle A Grade Grand Championship with 733.069! 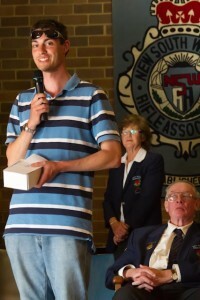 Mark was almost at Goulburn when your Captain rang to tell him the news, which gave me my only opportunity to collect a Grand Championship Gold medal and No 9 Queens Badge on Mark’s behalf! It was very nice to see six members of Roseville competing in these Championships and doing so well. Conditions were not easy and it was a credit to Roseville shooters, who do not get much meaningful wind experience at Hornsby Range, to take on the challenge at Canberra range. Allan seems to hit another gear when he travels away to a big competition and it was very pleasing to see Angus do so well in his first attendance at Canberra. 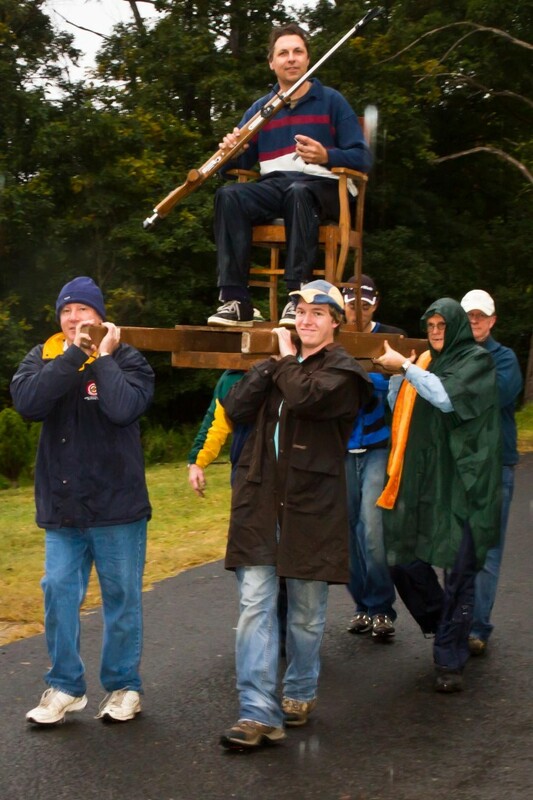 Mark was so close to a ride in the chair, but at least had the consolation of winning the Grand Championship. This years District prize meeting was a great success with 72 competitors competing on a warm and mostly sunny day. There were a few 50’s in A Grade in the first range 500m and Roseville’s Alex Marriott shot a 50.2 to take out C Grade. There were only 2 60’s in F Class and none in F Open. 600m was a bit different and certainly more challenging for all the shooters. The sun came out with vengeance the mirage boiled feverishly so much so you could see it through the open sights! There were no 50’s in either TR classes and only one 60 in F Class. Phill Hodder from Roseville took out A Grade with a 49.7. At 700m things became more steady with the wind mostly staying steady from the right, those who grouped on the left of the bull had more luck as the wind tended to drop off rather than pick up. There were a handful of 50’s in A Grade and one in B Grade. 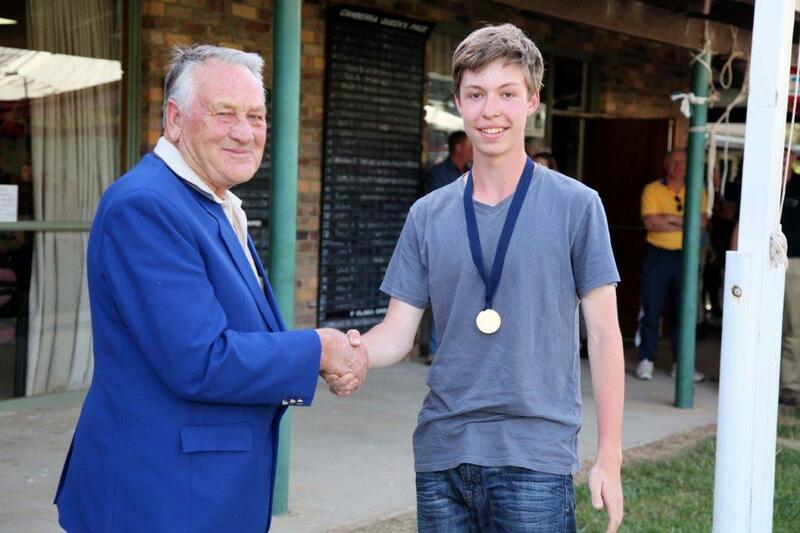 Rob Trodden won his first range medal in an OPM with a 49.1 in C Grade, well done Rob. Roseville’s Allan Humbert came second in F Class with a 60.1. It was decided not to shoot the Masters as time was getting on so it was down to the parade ground for the final presentation and cool drink. Phill Hodder was lucky to get 5th place in A Grade, Alex Marriot took 2nd spot in C Grade by a centre and Allan Humbert was 3rd in FS A Grade. It was a great day had by all and a huge thanks goes out to all who helped during the day to make it an enjoyable and well run event that our district should be proud of. Place Competitor First Name Club Grade 500 m 600 m 700 m Aggr. 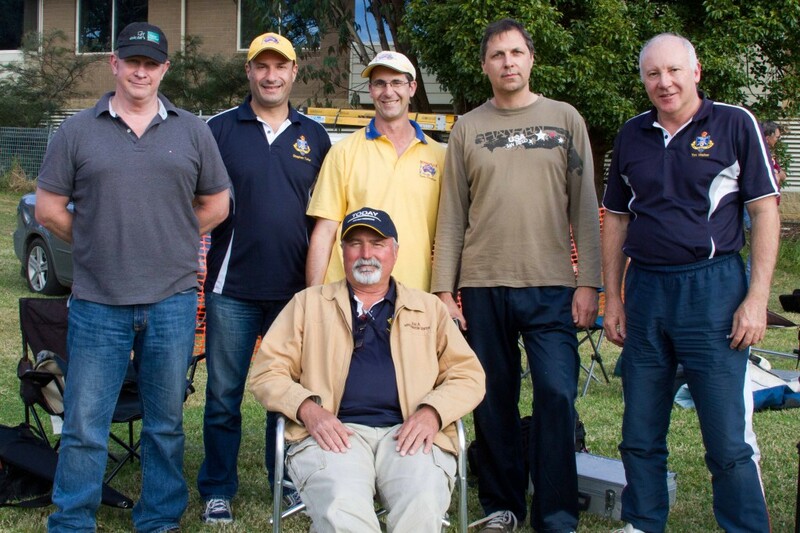 10 Roseville members attended the 136th NSW Queens; Allan, Alex, Angus, Fernando, James, Jon, Lachlan, Mark, Phill, and Tim. 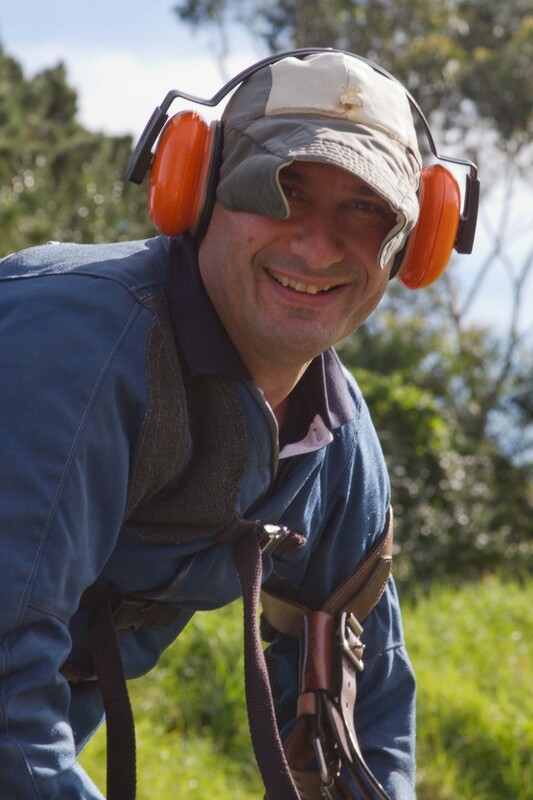 Fernando shot the First Stage of the Queens only. Dmitri attended and shot in the Sargard Teams match. Mike was there to lend support and to coach Mark in the Sargard. The Sargard Team was Mark = 73.8, Dmitri = 73.7, Phill = 74.9 and James = 74.8 =294.32. We came third in the Sargard, with 294.32, 2 points off the winning team. We had 32 centrals. The winning team had only 18 centrals (296.18). Mark (23rd) and Phil (29th) won badges in A Grade. Mark won several range medals. James Martin won the B Grade Queens by three points. Alex came 6th in the C Grade Queens and won a couple of range medals. Tim was just off badges in the McIntosh and Grand. Anne Martin and Rochelle came out on Day 3 to watch James clean up B Grade. All in all, a great attendance by Roseville members and a good time was had by all. Jon finished with 73.5 at 800m which he attributed to the great meal he had the previous evening! The 2011-2012 season has come to a close with another close finish in the Club Championship in A and B Grades. We had a new A Grade Champion, Dmitri Kazakov, who fought off a late charge from Mark Buchanan to win by 2 points, Dmitri finished the year with a total of 1188.122 and Mark 1186.142. 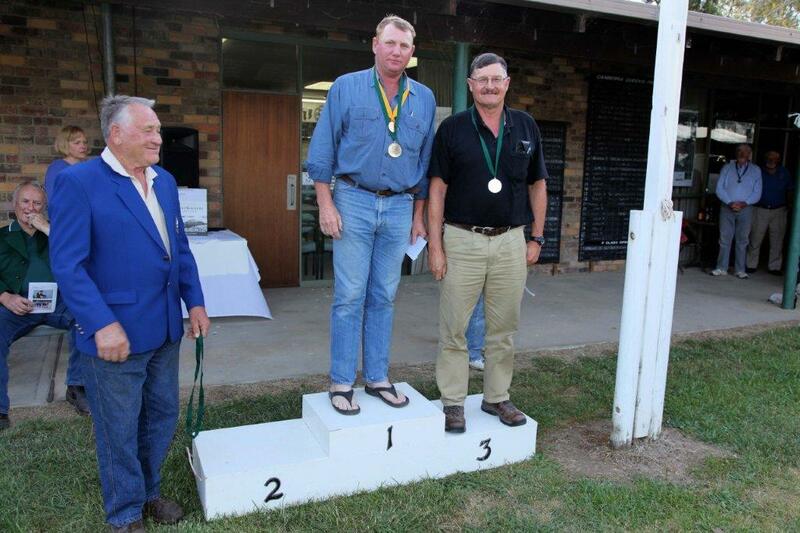 Dmitri then went on to win the District Champion of Champions shoot with a score of 198.16 which was shot in cool and wet conditions by 2 points over Tim Roberts from Gosford Club. 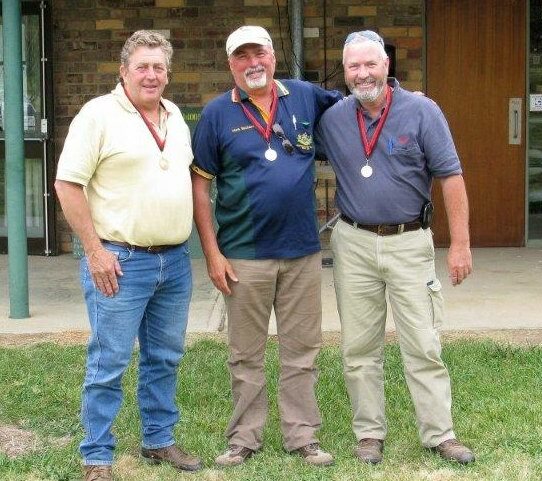 B Grade was won on the final day of shooting by last years winner Jon Marriott with a score of 1172.99, second place was Phill Hodder with 1171.92. In C Grade Richard Lund was victorious this season with a grand total of 1132.70, second place went to James Courteney on 750.23. Our Junior Champ was again Alex Marriott, who was consistent through out the year and finished with 1092.57. Alex did well in the Junior Champion of Champions but unfortunately had equipment issues on the last range. This years Arn Hammond Team shoot was an outstanding success, with both #1 TR and F Class Teams winning by a huge margin. Roseville #1 managed to win every range this year for an emphatic victory over Hornsby #1 by a whopping 19 points with Manly coming third. 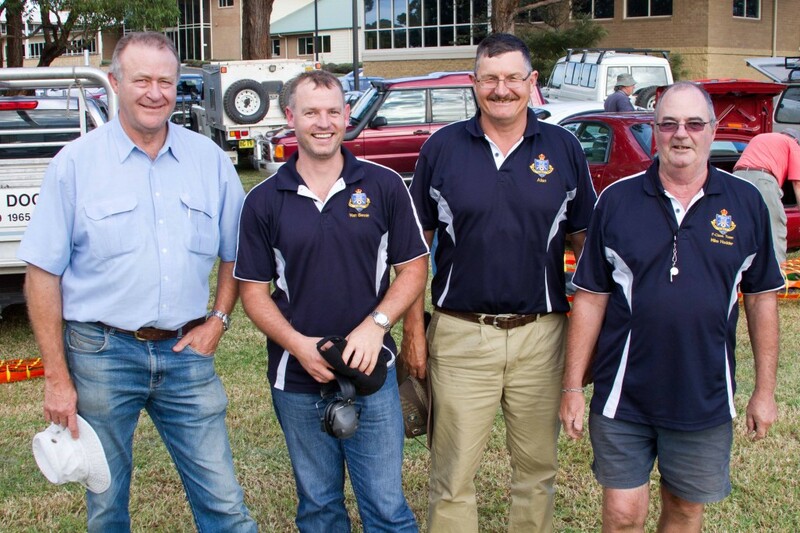 The F Class shooters shot consistently well also throughout the year, and were able to fight off a high scoring finish from North Sydney to claim victory in their class by a huge margin of 36 points!! They won 3-5 ranges this year. There was more development throughout the year on the Hexta ET and a new version was trialed and tested. This system uses targets which are wireless, this is a great step forward and a World First! Dmitri and Vadim should be very proud of themselves on such an achievement. I hope all Roseville shooters had a great year and good luck to all when the season starts again in July. 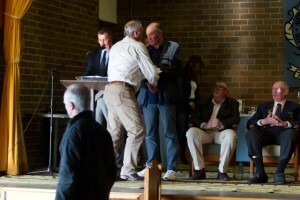 Sat 2nd June all the North Shore District club winners shot off to find the District Champion for 2012. Both Senior and Junior club winners in Target Rifle and F Class competed in the cool and mostly wet afternoon shot over 300, 500, 700 and 800m. Roseville’s competitors were Dmitri Kazakov in Senior TR Class, Alex Marriott in Junior TR Class and Graham Coote in F Class. There was a question before the start of the match whether to start shooting or not, due to the wet and wild weather. After dicussions with Club Captains and competitors it was decided to start shooting and hope the rain didn’t increase. The rain lessened a bit during the start of the match and scores were mainly high. Dmitri started off with a 49/50, Alex with a respectable 47/50 and Graham a great 60/60. There were a few shooters that found the conditions trying and some scores were lower than normal, but Dmitri found his comfort zone and finished the day with 198/200 and top scored in TR Senior to win the Champion of Champions for 2012. Alex shot consistently well with three 47’s at the start but unfortunately had some equipment issues and dropped a few more points at 800m. Robert Jenkins from Manly RC shot extremely well in TR Juniors to win that battle with an outstanding score of 198/200, and showed why he has been picked in the U25 NSW State Team. Graham shot very well in the first three ranges scoring 60’s in each to have a narrow lead from Dennis Smith from Gosford RC. The conditions became more finicky at 800m and both Graham and Dennis lost some shots with Dennis coming out a narrow winner. The final margin was one point with Dennis scoring 237/240 and Graham 236/240. Congratulations to the three Roseville representatives for being Club Champions and shooting their best on the day. A BIG Congratulations goes to Dmitri for being the NSDRA Champion of Champions Winner!! 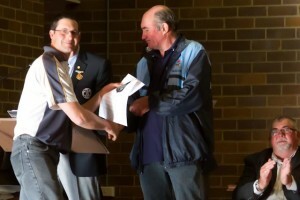 Both Roseville Target Rifle and F Class Teams made it a clean sweep in this seasons Arn Hammond Team Shoots. This competition is between teams from the North Shore District, shot over a shooting season at all distances, with 6 and 4 person coached teams. Roseville #1 managed to win every range this year for an emphatic victory over Hornsby #1 by a wopping 19 points with Manly coming third. Mr T showed incredible focus as Anchor Man to finish on a magnificent score of 70.9! Roseville F Class shooters shot consistently well also throughout the year, and were able to fight off a high scoring finish from North Sydney to claim victory in their class by a huge margin of 36 points!! They won 3-5 ranges this year. Unfortunately our handicap team didn’t do well enough this year but they had a valiant effort. With the rules allowing teams to pick the best shooters on the day some teams consisted of many people during course of the year, so well done to all who competed in this years Team Comp. “I took a photo of this old photo at Mudgee this weekend. It shows Graeme Berman being chaired by his club mates after winning A Grade in 1970. On the left, from back, Tim Walter, Tony McGuigan, Andrew Powell, Ian Palmer, Ken lee. Right from back Bert Pride, John Moore, Rod Evans, Peter Berman (little boy). Interestingly, Andrew Powell, one of the great shooters, was once a Roseville member too. So we have 3 Roseville, or former Roseville members, in this almost 42 year old photo. 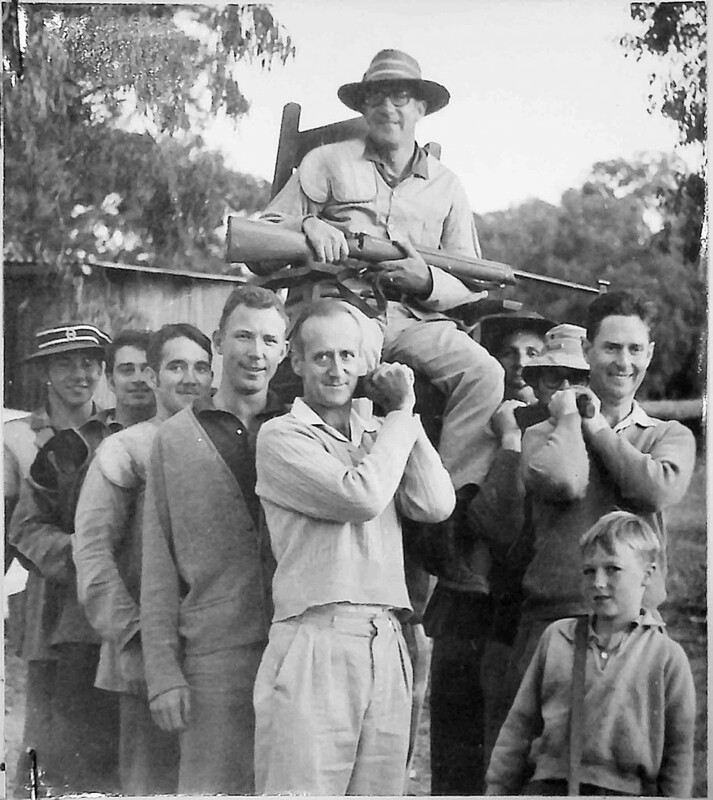 Various members from Roseville Rifle Club attended possibly the last Queen’s held at ANZAC Rifle Range at Malabar. Shooting started on Wed 25th Jan with the two day McIntosh Lead Up shoot. Mark, Mike and Tim shot in this event. 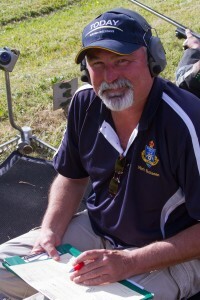 Mike secured two Silver and a Bronze medal over the two days shooting for range scores, and he finished in 9th place in B Grade. 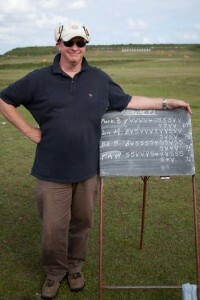 Mark shot brilliantly at 700m in the second day of the lead-up posting a 50.10 “perfect score!” to take out that range. He finished in 17th place for the two days shooting. There were some stoppages due to rain and also trespassers trying to gain entry to the range. Roseville fielded one team in the very prestigious Sargard Teams Match, and were unlucky not to get second place in that shoot. On a brighter note, Jon Marriott shot very well under master coach Mark , he shot a range best 75.10 to be the best individual scorer out of all the shooters. Well done Jon. Scores were mixed again during the Queen’s shoot for the Roseville contingency. Mark secured 3rd place for the second days aggregate, not dropping a point. 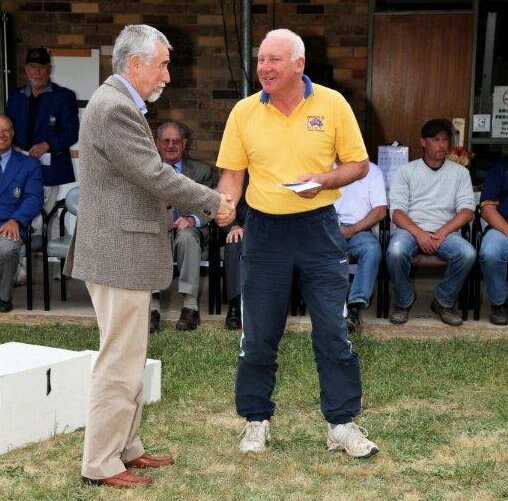 Peter Carroll scored a magnificent 60.6 in the second 300m to win that range in F Class B Grade. Tim was unlucky to finish on an inner at 700 m on Day 3 of the Queens for a 49.8 as 50.9 was the highest score shot at that range. Mark finished the Queen’s in 10th position.